It's shipping! 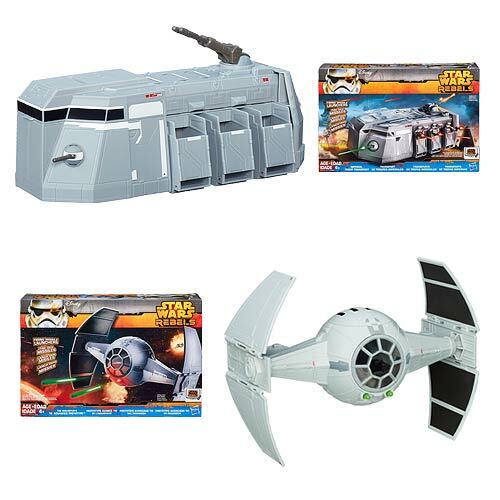 I got the Imperial Troop Transport from Star Wars Rebels when I ordered it at Entertainment Earth (available here now in a case with 2 per box). It's neat! It has articulated front cannons, 2 firing rockets, storage for 9 figures, and places to keep bunches of weapons. It does not have funny hats, wheels, a record player, or a large trunk for storage. Watch Six Second Toy Talk after the break to see it in action. It won't take long. Order Yours at Entertainment Earth!